October 5, 2012  China's national statistics office works hard, but the country is so big and changing so quickly that it's hard to keep track of what's going on. September 5, 2012  Subscription-based business models are nothing new. But right now, e-commerce subscriptions are exploding. And in some cases, companies that make a unique pitch about their product line can win customers away from large retailers like Amazon. July 9, 2012  Entrepreneurs are just one part of the organic machine that is Silicon Valley. Replicating the Valley's success isn't possible without bringing all of the pieces together in a symbiotic system. May 30, 2012  Republican Mitt Romney is running on the strength of his business background. He says he knows how to fix the economy in part because of his success at Bain Capital. 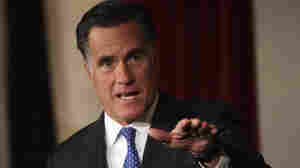 But history is not necessarily on Romney's side. Very few businesspeople have made it to the White House. April 3, 2012  In the first hour of Talk of the Nation, the balance of power between retailer and consumer, and journalist Isabel Wilkerson explains the history of racial violence in Florida. In the second hour, media coverage of the Trayvon Martin case, and measuring home runs in baseball. 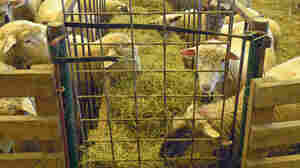 January 31, 2012  Lamb prices are at an all-time high, but American sheep farmers are worried. They say they need more farmers to raise sheep. And they want existing sheep farmers to increase the size of their flocks to meet growing demand. How Must-Have Are Those Swanky Sunglasses, Really? July 21, 2010  How must-have are those swanky sunglasses, really? Turns out, they (mostly) come from one place, so quality isn't the prime reason for the price tag.